There are a variety of options when it comes to making sure your garden is properly hydrated. Here is a cool idea from Home Spun Threads using nothing more than PVC and a little creativity to water your vegetable garden beds. The best part of using PVC to create a sprinkler system for your vegetable garden, is that you can really customize it anyway you want. 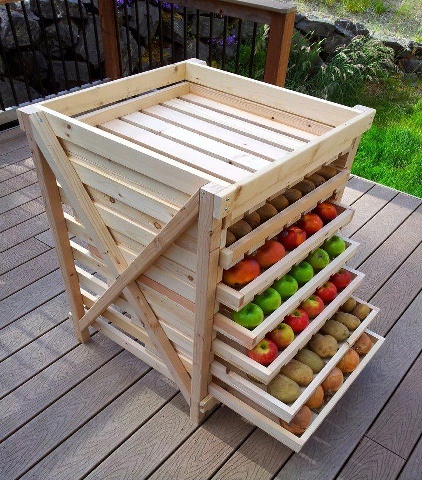 Your root crop production is through the roof this year and now you need a place to store them all. Or you took our advice and built the Potato Tower we posted. Whatever the reason, you need storage for those items. Here is a great project for you to build. A food storage shelf. A few supplies and hours later, and you will be all set. 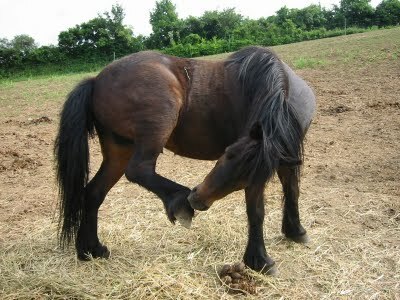 When I say manure, I am specifically referring to animal manure. In other words, the feces of horses, cows, chickens, or rabbits. This does not include that from your dog, cat or your neighbor with bad hygiene habits. Manure, and more specifically, composted or seasoned manure has a tremendous amount of benefits for your home vegetable garden. There are plenty of great reasons as to why you would add manure to your garden, here are 3 to get you going. 1] Nutrients, Nutrients, Nutrients – This in my opinion is tops on the list. Manure has a tremendous amount of nutrients in it. As the manure breaks down it releases those nutrients into your soil giving your vegetable plants just about everything they need to grow, thrive and produce. 2] Slow Release – The nutrients in manure are slow releasing. This means your plants will benefit over a longer period of time as those nutrients slowly work their way through the soil. This also makes manure, composted manure that is, great to be used as a top layer of mulch for your vegetable plants. 3] Reduces Soil Erosion – Recent data published shows that manure helps coat the surface of soil which reduces the impact of rain. As a side note, if you have fresh manure, be sure to mix it in with your soil at the end of your gardening season and at least 6 months prior to the start of the next season. You have to give the manure the necessary time to season otherwise it could fry your plants. A cold frame is a great way to extend your gardening season or get a jump on the season. A cold frame will protect your young seedlings and plants from the elements. 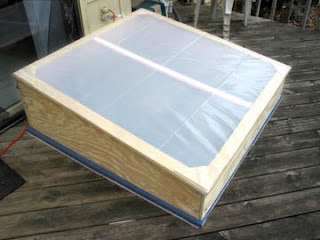 Here is a great step by step project to build this cold frame. All you will need is some simple skills, basic material, and a few hours. Home gardeners that are limited on space know all too well the importance of container gardening and making the most out of the space they do have. Even though I would not consider my space limited, I still love growing vegetables and herbs in containers. I usually do this with certain vegetables and herbs that I do not need a lot of, or new vegetable or herb varieties that I want to try. If you were looking for some vegetables or herbs to grow in containers, here are 5 that are perfect. 1] Basil – Ok pretty much any herb fits this bill, but basil does great for me. Growing basil and other herbs in containers is a great way to add these to your garden, without taking up space that may be needed for other fruits and veggies that the space would be better suited for. 2] Leafy Greens – Spinach, kale, lettuce and many other leafy greens are excellent choices for growing in a container. You can snip off what you need and let them continue to grow. 3] Tomatoes – Yes the king of the vegetable garden, the tomato, makes for a great addition to containers. Ever notice more and more people are using those upside down hanging tomato planters? That is because they do work, do not require a lot of room, and since many varieties of tomatoes produce in an abundance, they are great for their limited space needs. Cherry & grape tomatoes are perfect for container gardening as they are high producers and most families will only need one or two plants for their needs. 4] Zucchini – I had a neighbor who once said you can watch the zucchini grow right before your eyes. That is because, if you have ever grown zucchini, you know that one second it is about 2 to 3 inches and what seems like a few minutes later and they are about a foot. Zucchini is great for containers (larger sized) for this reason. You can set up a few containers with zucchini and still grow quite a bit. If you have not considered adding container gardening to your repertoire, you really should. It is a great way to “test” some items out before you make them part of your raised beds or gardening plots. I already have this particular project on my "to-do" gardening list for this season as I have made a commitment to grow 7 different varieties of potatoes. 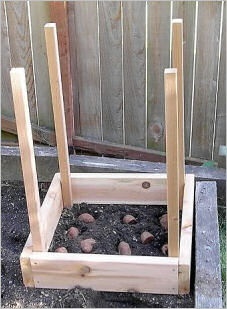 This vertical, "build as you go", potato tower will work great in the limited space that I have. Take a look at the detailed instructions on how to build this potato tower and how you can grow 100 pounds of potatoes this season. Of course results may vary, but still worth a try.